There were four Floral Marquees at Hampton court this year, joined together in pairs and separated by the Water Garden Pavilion. Our fleeting floral experiences at Chelsea taught us that the flower marquees and pavilions need to be visited while there's still ample light. We visited the Chelsea Floral Marquee late in the day - the light was poor, and the camera's memory was full of photos of the show gardens and outdoor exhibits. We were better prepared for Hampton and spent several hours in the four floral pavilions, paying particular attention to plants which aren't used in Moosey's Country Garden. I love the varied wierd and wonderful nature of the marquees, and the moist rich air thick with different plant smells. I particularly enjoyed seeing the tropical and rarely-seen plants. The opportunity to see so many different plant varieties in one place is worth the admission price alone. Some serious effort went into the Floral Marquee displays. Many of the staff we spoke to were tired from the previous night's gala party but were in high spirits and very helpful. If you want further information about any of the plants on our tour of the Floral Pavilions, look out for the links to the nurseries' and exhibitors' websites. The floral pavilions at the Hampton Court Flower Show were simply stunning. Follow us as we walk around the four floral pavilions peering at interesting plants from interesting places. We start with the attention grabbers of any floral marquee, the carnivorous plants! Like a kid in a sweet shop, I headed straight for the tropical and carnivorous plant displays. I couldn't help myself, their gaudy colour contrasts were irresistable. They have to come first in any floral marquee tour. With some of the carnivorous plants appeased, we can get on with the rest of the tour. 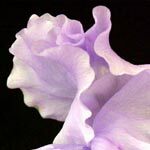 First up is a collection of sweetpea flowers, lavender, striking Coleus foliage and a begonia or two. Moosey is still a bit sore after New Zealand lost the Rugby World Cup so we had to capture the Begonia 'Martin Johnson' for prosperity - it is his testimonial year after all. Dibleys Nurseries can be found in Efenechtyd, a small welsh village in Denbighshire, North Wales. 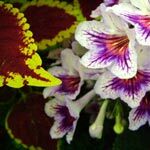 They grow Streptocarpus, Saintpaulias, Coleus, Gesneriads & Begonias. 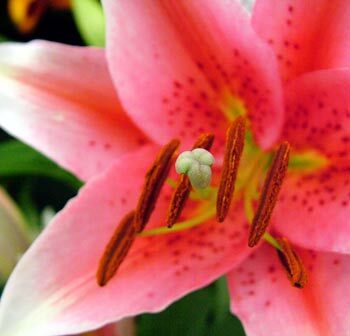 They've been winning RHS Gold medals for years and were one of our favourite exhibits. 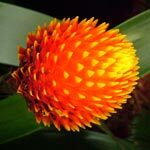 With their blazing colours and striking foliage, this collection of carnivorous and tropical plants have to come first. This year's RHS Hampton judging panel agreed, awarding the carnivorous plant display the coveted 'Tudor Rose' award. With the attention seeking tropical plants out of the way, we continued on through the Hampton Floral Marquees, photographing, inspecting and asking as we hopped from one exhibit to the next. With the attention seeking tropical plants out of the way and my boyish fascination with carnivourous plants satisified we continued on through the Hampton Floral Marquees photographing, inspecting and asking as we hopped from one exhibit to the next.